The driver left the scene after the pedestrian stood up and walked to the side of the road. The pedestrian then went inside the fitness center and police were called. 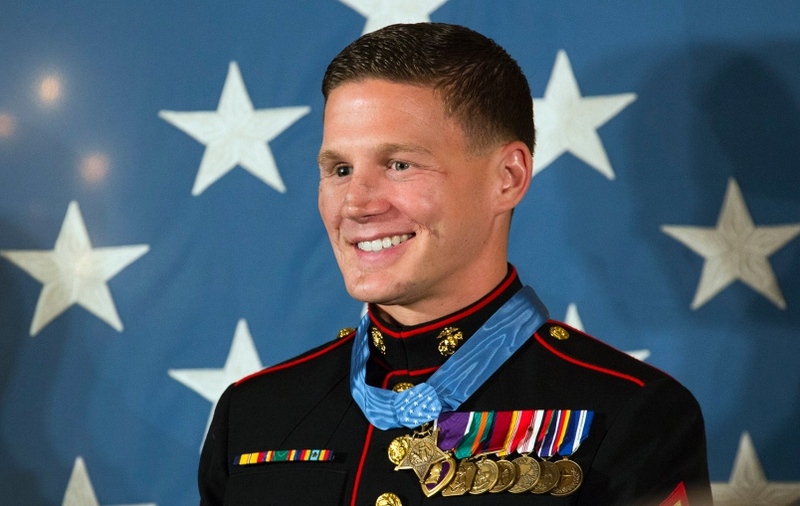 A Medal of Honor recipient who lost an eye while taking a grenade blast to save a fellow Marine now faces a hit-and-run charge in South Carolina, police say. Retired Cpl. Kyle Carpenter, 26, turned himself in and appeared in court Thursday with an attorney on misdemeanor charges of hit-and-run and making an improper left turn, police said in a news release. Police spokesman Capt. George Drafts said he didn't have the attorney's name. Carpenter didn't respond to an email and a text seeking comment. Carpenter was released on bond, the release said. Police say a pedestrian who was struck shortly after 8:30 p.m. Dec. 8 was treated at the scene for scrapes and leg injury. The pedestrian, Michael Haddad, declined to be taken to a hospital and is expected to make a full recovery, police said. KBR, under the military’s logistical support contract, operated the pits. WASHINGTON — A federal district court on Jan. 21 will consider the scope of a lawsuit alleging soldiers’ exposure to burn pits in Iraq and Afghanistan led to serious respiratory illnesses and deaths and whether government contractor KBR, Inc. is responsible for the way the pits were operated. 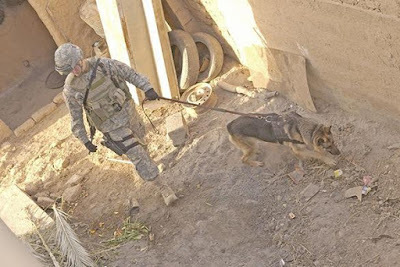 In Iraq and Afghanistan, the military relied heavily on the large, open-air pits to burn trash and waste daily, exposing the personnel working the pits and others living nearby to toxic smoke. In 2010, the Government Accountability Office found the Department of Defense was not following its own regulations for safe burn-pit operations, and that pits were regularly used to dispose of prohibited plastics, paints, batteries, aerosols, aluminum and other items that could produce harmful emissions when burned. Nine locations in Afghanistan are also potentially within the lawsuit’s scope, as are another eight bases supporting Iraq and Afghanistan operations, such as Camp Arijian in Kuwait. Canada Workers Compensation Added PTSD! Changes to the Workers Compensation Act recognizing post-traumatic stress disorder as a work-related occupational disease in Manitoba come into effect Jan. 1. Effective that date, the Workers Compensation Board will presume that someone’s job caused PTSD if a worker experiences a traumatic event on the job and is then diagnosed with the disorder. This will make “it much easier to access supports, treatment and compensation,” Premier Greg Selinger said in a news release. On September 11, 2012, terrorists attacked the U.S. Embassy in Benghazi, Libya. We lost four brave diplomats. While the incident will forever be remembered as a tragedy, we would be remiss to forget the courage displayed by the six American servicemen who ran toward the fire. It is their story that is told in the new Paramount Pictures film 13 Hours: The Secret Soldiers of Benghazi. What was it that compelled these men to run toward danger? In a new featurette from Paramount Pictures ahead of the film's release, a few of the soldiers who defended the Benghazi compound explained that they received their strength from a higher power. WASHINGTON — After a weight-lifting session left him struggling to catch his breath, Marine Staff Sgt. Mark Fayloga made a decision: It was time to visit a doctor and find out what was wrong with him. He'd been struggling with fatigue for months, but chalked it up in part to his long commute from Columbia, Md., to the Pentagon. The diagnosis wasn't good: Fayloga, 30, has cancer. He announced it in a video posted online Monday, saying that while it has been difficult each time he has told someone he cares about, sharing updates about his illness in a video series will provide a distraction for him and keep his friends and family informed. In a phone interview, Fayloga said that he is still waiting to learn what kind of lymphoma he has. 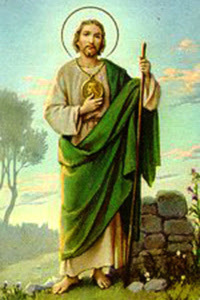 Already, though, doctors have drained 3 1/2 liters of fluid from around his lungs and completed a biopsy. At least one possible diagnosis – Hodgkin's disease – is considered highly curable. Fayloga's initial six-minute video isn't just somber. 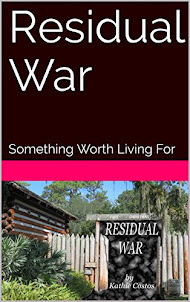 It's filled with off-color humor, wisecracks and Fayloga having fun by depicting himself using his diagnosis as leverage to get a variety of things, including an extension on a work project, an unfair advantage while playing Scrabble and the last cupcake at home. "Hey stupid," Lear laughed, "You threw away a wallet that had $700 in it. And now, we have your picture on the front page. I'll see ya!" WINTER HAVEN (FOX 13) - A Good Samaritan comes to the rescue after a suspect was caught on camera taking the wallet of a retired veteran on a motorized cart in Publix. Video surfaced Monday of a senior citizen dropping his wallet in the aisle of a Winter Haven Publix store. He was riding on a motorized cart. A few seconds later, you see a man pick up the wallet and walk away with it. And police say charges to the victim's credit cards started racking up within minutes. 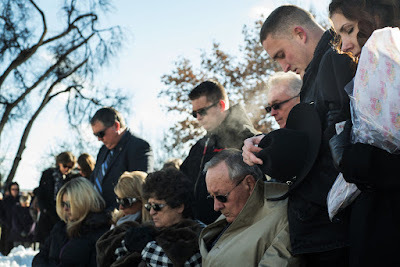 The young son of a National Guardsman killed in a suicide bombing attack in Afghanistan last week proudly honored his father on Wednesday, trying on a police cap at his father's funeral. Thousands of uniformed police and U.S. military servicemen lined the streets of Manhattan for the funeral for NYPD police detective and airman Joseph Lemm at St Patrick's Cathedral, which was attended by NYPD Commission William Bratton and Mayor Bill de Blasio, among others. Lemm's four-year-old son Ryan was a reminder of the gravity of his premature death. 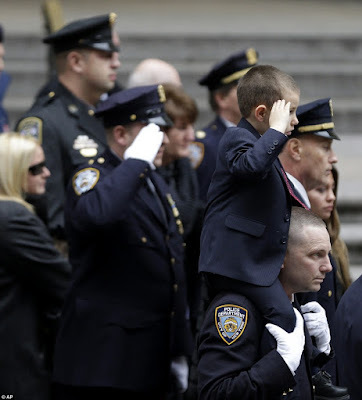 Pictures from the emotional event show an officer hoisting Ryan up in his arms and offering the boy his police cap - too big for the youngster's head. “I certainly didn’t want them to miss Thanksgiving dinner with their family,” Garcia said he made it his personal mission to help after learning that Dan was a military veteran who battles post-traumatic stress disorder. He does not handle stress well. “I just have the utmost respect for veterans,” the officer said. ANAHEIM (CBSLA.com) — An Anaheim police officer is being praised for going beyond the call of duty for helping an Oregon family on vacation at Disneyland. Dan Singer, his wife, their three children and his mother were vacationing at the theme park resort on Thanksgiving week. On Thanksgiving day as the Singers were getting ready to drive north to Torrance to visit relatives, they came to find that their SUV was burglarized. The black Chevy Suburban was parked in the lot of Disneyland’s Paradise Pier Hotel, where the thief or thieves had broken through the back window and stolen third-row seats. EUSTIS, Fla. - A Navy veteran who used donated trees to make canes for veterans delivered his first cane from the batch on Tuesday night. Oscar Morris gave his first cane from the 200 trees donated from Lowe's to Shirley Johnson, a Korean War veteran who has been waiting three months to get his new walking cane. "I think they're wonderful. You can't beat that," Johnson told News 6. Each cane is different, filling the need of the specific veteran and branded with a penny of the year the veteran enlisted in the military. "Normally when I mail them out I don't get the reaction on the face," Morris said. "The reaction is priceless compared to just mailing them out. You don't see, you get a response back through email, but when you hand one personally to somebody what it does inside is very special to me." Morris said he's been making art out of wood since he was a child. He said back in September he ran across a strong broken tree limb and decided to make a cane. 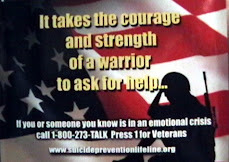 With everyone doing something to prevent suicides in the military and in the veterans community, why are they still killing themselves? Each branch of the military including National Guard and Reservists have been telling all of us that "one suicide is too many" but basically they reach that claim on a daily basis. Lord only knows how many times they'd have to say it if they had to account for all the veterans they trained to be "resilient" over the years. They sure aren't talking about the simple fact that training isn't even good enough to keep non-deployed from committing suicide but they claimed it would work on those with multiple deployments. Is it ignorance or incompetence? Your guess is better than their's. I doubt they are even wondering why nothing they do is working? They sure as hell aren't wondering how it is that these men and women, trained to fight wars, managed to stay alive during them but not back home when they were supposed to be out of danger. It isn't just the fact they succeed at ending their lives, but as with the story of Tyler Schlagel is told, others have tried to kill themselves as well but we can't even get the number of successful suicides right, so no one is trying to add up those battered lives either. When asked if anyone else in the squad had attempted suicide recently, one man said no. The second said yes. He paused, then said, “Me ... a few months ago.” Without speaking, the two men fell into a deep hug. “I didn’t see it coming, not from him. Why our battalion? I’m at a damn loss." James McKendree, posted to other members’ Facebook pages the day after his death. LONGMONT, Colo. — Tyler Schlagel slipped out of his parents’ house while they were asleep three weeks ago and drove through the wintry darkness to his favorite fishing lake high in the Rockies. Mr. Schlagel, a 29-year-old former Marine corporal who was stocking shelves at a sporting goods store, carried with him the eight journals he had filled during tours in Iraq and Afghanistan. He also carried a .40-caliber pistol. Under the bright mountain stars, he kindled a small campfire. When the flames grew high, he threw the journals into the fire, then shot himself in the head. 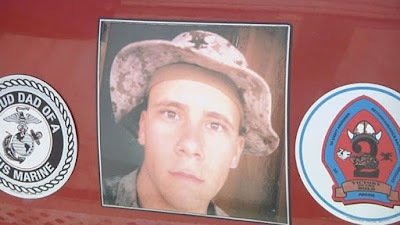 Mr. Schlagel’s death Dec. 9 was the 14th suicide in his military unit — the Second Battalion, Seventh Marine Regiment — since the group returned from a bloody tour in Afghanistan in 2008. Many other members have attempted suicide, one just three days after Mr. Schlagel’s death. The suicide rate for the 1,200 Marines who deployed together — most now out of the military — is nearly four times as high as for young male veterans as a whole and 14 times as high as that for all Americans. For the dozen Marines who came to pay their respects — roughly a quarter of the platoon — Mr. Schlagel was the last person to suspect was struggling. He had been a squad leader and the platoon’s designated marksman who had taken the most dangerous spot at the front of patrols. He had seemed fearless, joyful, steady. His suicide made some question whether anyone was free of risk. I've been doing this for far too long and still reading about more suicides stings as much as it did over 30 years ago. Back then we had plenty of excuses. Frankly because most of us were just learning what war did to all the generations since the Revolutionary War. 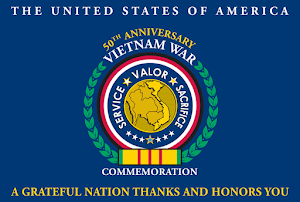 The press didn't care about Vietnam veterans other than reporting about some of them being arrested unlike now when they report on Veterans Courts. The DOD didn't care much either because they could just boot their butts out and be done with having to count them at all. Now with billions spent every year on all the training, the DOD still hasn't seen they caused this train wreck! TAMPA, Fla. (WFLA)– U.S. Army Green Beret Clay Allred’s fight to be reinstated as a student at the University of South Florida is now gaining the attention of the Secretary of Veterans Affairs in Washington, D.C.
Allred was disqualified for enrollment at the University after a violent episode in 2014, triggered by Post-Traumatic Stress Disorder. Earlier this month, his house arrest order was terminated, but he still has not been granted entry to the University to complete the 17 credits he needs to get his degree. Now, Secretary of Veterans Affairs Robert A. McDonald is urging the University to reconsider, requesting a sit-down meeting with University President Dr. Judy Genshaft to discuss the ways the VA and the University can work together to educate veterans who have completed veteran’s treatment court programs. 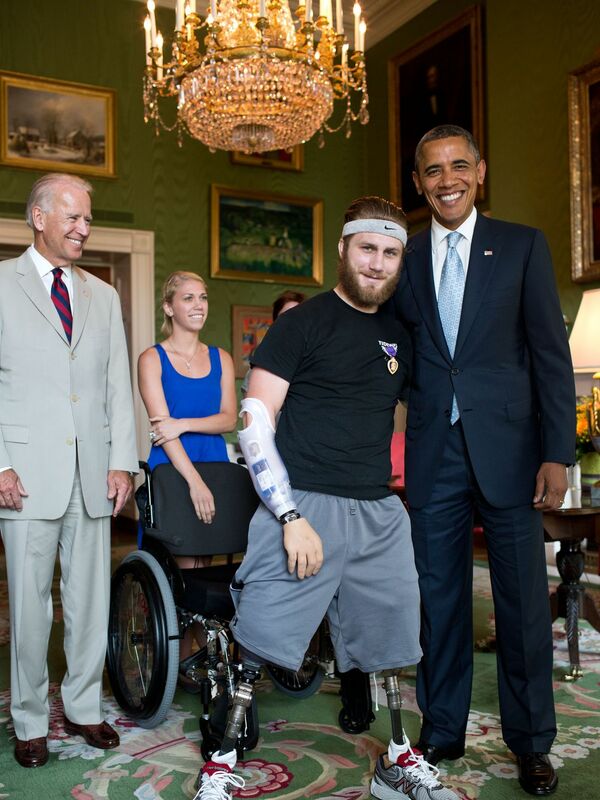 JACKSONVILLE, Fla. – Paul Mikeal was a trained machine gunner, a kill team leader and he's a Purple Heart recipient. 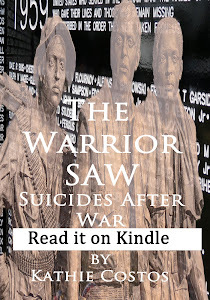 His wounds are both physical and mental.The Army veteran's story is sadly a familiar one; returning home from war unable to leave the past behind. Mikeal's problems are deeper and darker than many can imagine. He served two tours in Afghanistan with the Army -- from 2008-2009 and again in 2011. "I ran at bullets for a living and found those people who were sending them my way and returned the favor," said Mikeal. "That was the reality," said Mikeal. "I wanted to die, I didn't want to be here. 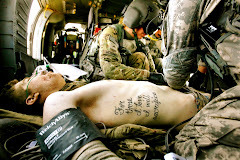 I wished that I would have died in Afghanistan so I didn't have to face what I was facing now." He watched four close friends die during that time and says he too wanted to die after returning home in 2013. Medically released, he says he had to deal with post-traumatic stress disorder (PTSD), addiction problems and divorce all at once as he tried to adapt to life as a civilian. Reis suffered various disabilities, including diabetes, post-traumatic stress disorder and depression, police said. Russell isn't a professional caregiver. Determining a cause of death for a body buried under a house for nine months has proven difficult. What killed Air Force veteran Steven Reis, 55, remains a mystery almost four months after his badly decomposed body was found underneath the basement floor of a home in the 100 block of Sixth Avenue in Dayton. Reis' caretaker, Christy Russell, remains in Campbell County Jail on $2,500 bond charged with credit card fraud for using Reis' credit/debit card to steal between $24,000 and $30,000 in his veterans benefits. She pleaded not guilty in December. A hearing in that case is scheduled for Jan. 11. A Vietnam veteran finally got the welcome home he deserves at the Albany International Airport on Sunday evening. Reporter Michael Howard was there when Dan New arrived in the Capital Region. COLONIE, N.Y. -- It was an emotional return back to the U.S. for Dan New after going on what's called a "reconciliation journey" to Vietnam. The 68-year-old holds back tears when he thinks of his past, that includes serving in the Vietnam War, from April of 1967 to April of 1968, after being drafted into the Army at age 19. Since then, the Wynantskill resident says he's battled his own war, struggling with PTSD and addiction. That's until he found a group called Soldier's Heart in Troy, that specializes in restoring the relationship between soldiers and society. "In my mind I had always carried the memories of what I experienced when I was there," said New. 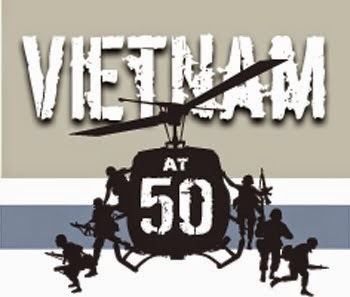 He, along with 15 others from the organization, including four Vietnam veterans and one Iraq War veteran, went on a three week trip to Vietnam, a place New hasn't returned to in more than 40 years. He experienced the culture and what were once war sites, many now unrecognizable. 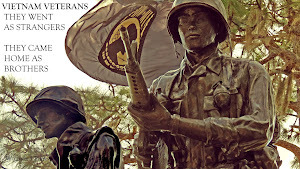 At one spot, all that was left was a soldier's uniform. "It was that of an American soldier. I have a piece of it in my luggage right now," said New. Navy Veteran Richard Findlay talks about his woodwork with Bessamac Cunningham Saturday afternoon, Nov. 28, during the Holiday Sale Arts and Crafts off Iron Springs Road in Prescott. 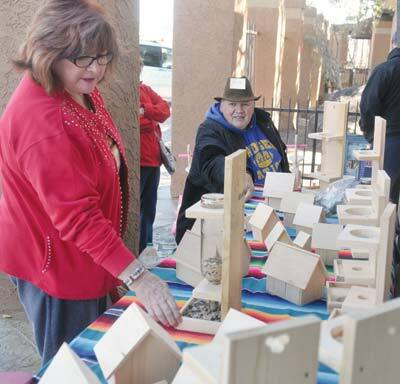 It wasn't big, but the Holiday Sale Arts and Craft show off of Iron Springs Road on Saturday, Nov. 28, went beyond artists simply making a buck. It helped reinforce constructive behavior among a population of creative minds who don't often have the means to show off their talents at such organized events. Among the nearly 20 vendors were veterans, many of whom are homeless and were provided space at the craft show for free. Along with her partner, homeless Air Force veteran Rachele Kelley was selling jewelry she personally crafted, something she has been doing for about 25 years. She recently took shelter in the Prescott Veterans Affairs Domiciliary to help overcome some mental challenges and figure out a way to support herself going forward. The Domiciliary is a residential treatment program for up to 120 veterans who have mental health and vocational goals that can be addressed during a short-term stay, up to 120 days, according to the U.S. Department of Veterans Affairs. A homeless man living under a bridge on the city’s northwest side is about to see his family for the first time in more than 30 years. “I’ve been homeless ever since my grandfather died in (19)75,” Wiley James Wright Jr. said. Wright has gone without talking to his family for nearly half his life. Thanks to a good Samaritan who only wants to be known as Amanda, that’s about to change. Amanda gave Wiley money the first time she noticed him panhandling at a gas station off Culebra Road and Westwood Loop but she couldn’t get him off her mind. When she returned to meet him, she learned he was living under a bridge at a nearby park. After learning the 61-year-old Army veteran’s story, she decided to help him reconnect with loved ones. Wright’s now waiting for his younger sister to pick him up. She’s driving to San Antonio from Moultrie, Georgia. Ron Brodeur served as a gunner/crew chief in the Green Hornets in Vietnam, but was just recently honored for his bravery. CHELSEA — The helicopter mission to extract or “exfil” an Army Green Beret Special Forces unit on a clandestine mission in Cambodia took place on Feb. 20, 1969. But Ron Brodeur, now 70, recites every detail as if it were yesterday. Less than two weeks ago, Brodeur and his fellow gunner/crew chief aboard that mission received long delayed Silver Stars for their valor under fire on that day 46 years ago. Brodeur and Eric Roberts II, who lives near Houston, Texas, were at the Pentagon to receive the military award Dec. 17. There the two Green Hornets, members of the 20th Special Operations Squadron, reminisced about that particular mission and hundreds of others during their time in the Air Force in Vietnam. The Air Force crews flew UH-1 F/P helicopters, which Brodeur frequently referred to as airplanes. Eight helicopters were kept at the forward operations base. “We lost quite a few airplanes and crew members while we were there,” Brodeur said. 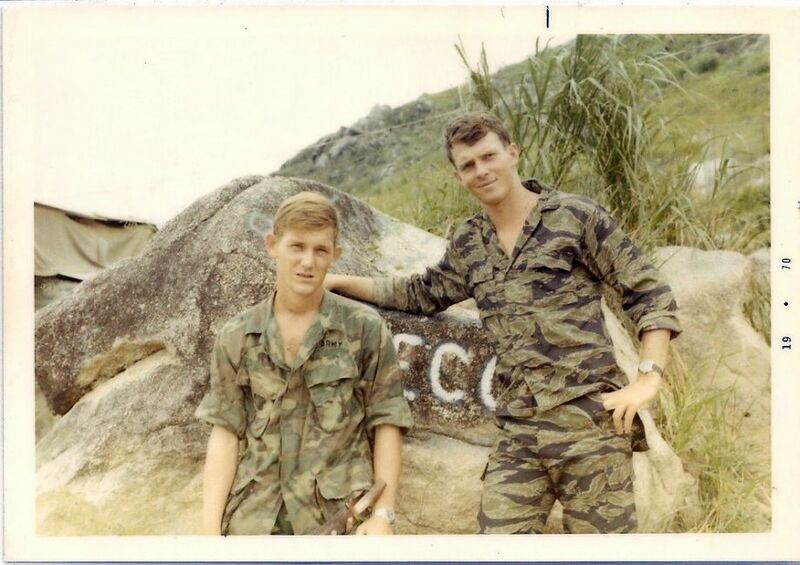 This photograph was taken in Vietnam in 1970 of Army soldiers Nicholas Clay Jasper, of Arkansas (left) and Joe Haralson, now a Texas Ranger based in Texas City, who was recently presented with a Bronze Star Medal for his service. 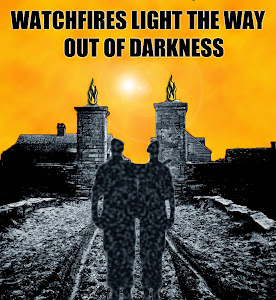 The men went on reconnaissance missions together, and their friendship lasted after the war. Haralson is quick to note that he is just one of many who faced similar circumstances in combat. By the summer of 1971, Joe Haralson had returned from the jungles of Vietnam, married his high school sweetheart and started his career as a Texas state trooper. An envelope arrived in the mail from the U.S. government. It was larger than the one that came two years earlier telling him he'd been drafted into the Army. 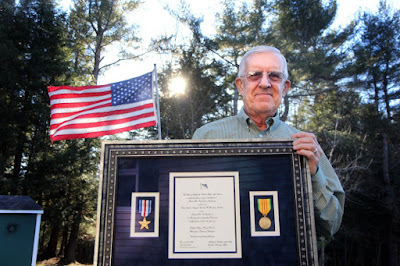 This one held a citation stating he had earned the Bronze Star Medal for his actions in combat. There was no medal enclosed or a follow-up ceremony. That was fine with Haralson, who didn't feel the Army owed him a thing, as he'd returned home alive and unharmed - unlike so many others. That would be the last he'd hear from the Army, until recently, when a general walked in on a meeting of Texas Rangers. "Assessment of the nature of combat may be useful in research and in clinical settings," researchers wrote in their study. BOSTON, Dec. 29 (UPI) -- A new study suggests the insurgency phase of the Iraq War caused an uptick in instances of post traumatic stress disorder, or PTSD. The research was conducted by scientists at the National Center for PTSD, a collaborative effort between the VA Boston Healthcare System and the Boston University School of Medicine. When they used these phases to analyze the mental health diagnoses of Iraq War veterans, they found men deployed during the insurgency phase were more than twice as likely to have developed PTSD. The same correlation was not found among women. Created in 2008, the JPSU was designed to assist wounded soldiers at a time when casualties from the Afghanistan war were mounting. The unit’s 24 personnel-support centres and eight satellite offices, located at bases and wings across the country, offer programs and administrative support to those deemed unable to fulfill their regular duties for at least six months. Sergeant Paul Martin, who was diagnosed with PTSD after returning from Afghanistan, was transferred to the JPSU. 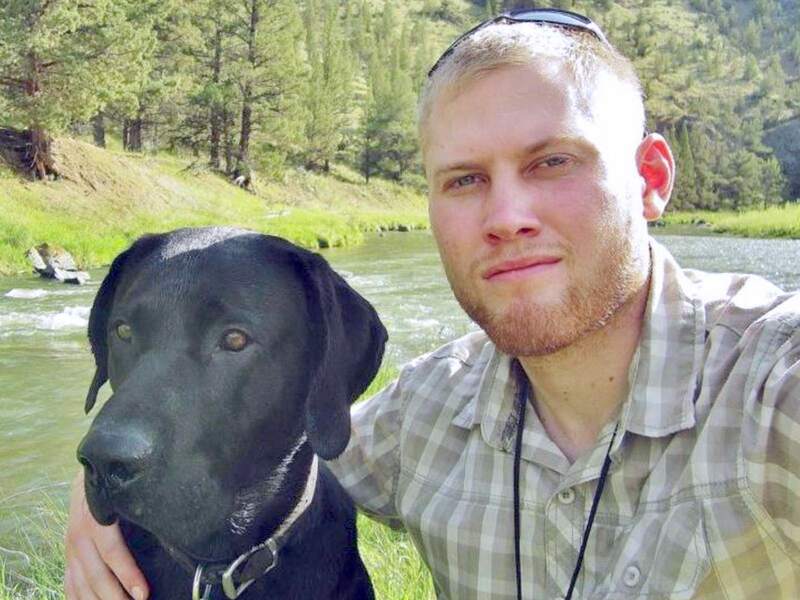 He was facing a medical discharge from the military when he took his own life in 2011. A military review has identified serious flaws with a support unit intended to aid ill and wounded troops, concluding that it has too few staff and resources to properly help vulnerable soldiers return to work or adapt to civilian life. The review of the nearly eight-year-old Joint Personnel Support Unit (JPSU) was ordered by General Jonathan Vance two weeks after he assumed the role of Chief of the Defence Staff in mid-July. The Globe and Mail obtained a draft copy of the review team’s findings and the more than 50 recommendations made for overhauling the JPSU. The internal probe underscores long-standing problems with the support unit, many of which have been raised in previous investigations. Yet, little significant action has been taken over the years to address the JPSU’s shortcomings, even after several soldiers in the support unit took their own lives. Gen. Vance is pledging to fix the JPSU. He has ordered a deep examination of the review team’s recommendations and a renewal of the unit’s mandate, design, resources and policies. Sgt. Martin is one of at least 59 soldiers and veterans who have killed themselves after serving in the Afghanistan war – a number that came to light as result of The Globe’s investigation. The inquiry into Sgt. Martin’s suicide led to four recommendations aimed at improving the JPSU, boosting mental-health services and improving how the military deals with traumatic incidents. All were rejected by military brass, The Globe investigation revealed. Fake Iraq Veteran Got Free Drinks Then Wrote About it? The public backlash against the Weekender continues to mount following a column in last week’s edition in which a writer boasted about scoring free drinks at a bar by pretending to be an Iraq war veteran. One of Northeastern Pennsylvania’s leading civil rights activists launched a petition demanding apologies — from the columnist all the way up to the head of the Weekender’s parent company, North Carolina-based Civitas Media, which also publishes The Times Leader. The writer and the Weekender’s editor have issued public apologies, but some local businesses still vowed to pull their advertising and stop distributing the free weekly entertainment newspaper. “R bar and grill Nanticoke will NEVER advertise or distribute this paper again. It’s a disgrace to all of NEPA. pathetic!,” Lauren Temarantz Maga, owner of R Bar and Grill, proclaimed on her Facebook page with a link to the column. Maga said the business called the Weekender offices Monday to demand they stop delivering the paper to the restaurant. River Grille in Plains Township did the same. “We haven’t advertised with them in a long time anyway, but we don’t want to have the paper even available at the bar anymore,” River Grille manager Erica West said. 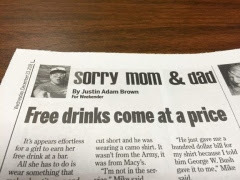 The controversial column, titled “Free drinks come at a price,” was written by Justin Adam Brown, who was laid off in November as a full-time staffer, but continued to write his weekly “Sorry mom and dad” column. Last week’s column described his musings about a summer night out when he and a friend ran into a drunk Vietnam veteran. He said it was then he “discovered the secret to getting a free drink” as a man at a bar. “Just say you’re a veteran,” Brown wrote. 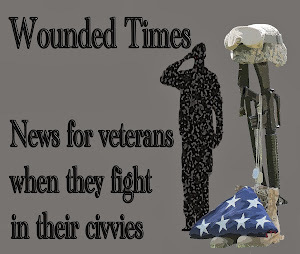 Troops: "tens of thousands of undiagnosed and untreated brain injuries"
Veterans too often played down their wounds but became detached from friends and family. 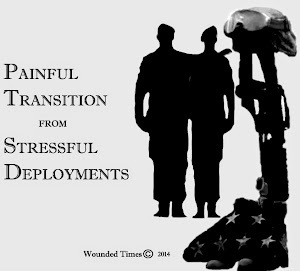 Many denied their downward spiral until a "wake-up call" forced them to seek help from Pentagon and Department of Veterans Affairs programs. Tens of thousands of American combat veterans returning home from Iraq and Afghanistan with undiagnosed brain injuries often were "thrown into a canyon" — falling deeper into despair and sometimes flirting with suicide or addiction — before trying to get help, according to a Johns Hopkins University study. Written by Rachel P. Chase, Shannon A. McMahon and Peter J. Winch, researchers at the Baltimore university's Department of International Health, the study published in the December issue of Social Science and Medicine builds on previous work at Johns Hopkins. That work uncovered tens of thousands of undiagnosed and untreated brain injuries stemming from improvised explosive devices, or IEDs, the signature wound of America's 21st-century wars. Innovations in body and vehicular armor saved the lives of troops who likely would have died of blast injuries in past wars, but survivors often had higher risk of memory loss, cognitive struggles, mood disorders, migraine headaches, addiction, insomnia and suicide. is not the famous charity you may be thinking of. The Marines and Air Force have them too. BERWYN, Ill.-Just in time for the holidays, one disabled service member and his family received a miracle of a lifetime today. 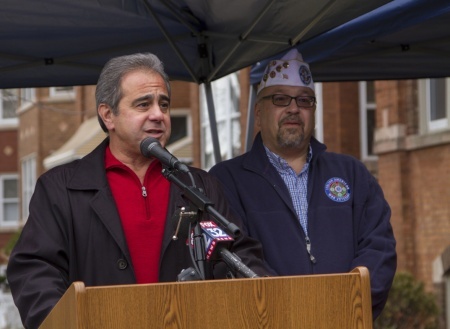 The mayor of Berwyn, Ill., Robert Lovero, and Frank Amaro, a veteran volunteer, present a donated condominium to a disabled veteran on Dec. 23, 2015. Through a partnership with the Illinois Housing Development Authority (IHDA) and the city of Berwyn, the Olijar family received a fully furnished, permanent new home. Through a partnership with the Illinois Housing Development Authority (IHDA) and the city of Berwyn, the Olijar family was handed the keys to a permanent new home. Currently Scott and his wife, Jennifer, live in a one bedroom apartment in a small rural city in Illinois. They sleep in the living room so their 2-year-old son can sleep in the bedroom. With help from the Neighborhood Stabilization Program and the Berwyn Holiday Fund, the donated condominium was fully furnished and ready to move in for a struggling veteran. Robinson’s military service included a nine-month deployment to Kuwait. In the months before he disappeared, he had struggled with depression and anxiety and had complained about not being able to see a counselor through the U.S. Department of Veterans Affairs. Family members and rescue workers say they believe a 23-year-old Bend man missing since late July may have hitched a ride and could be living in another state. Mike Robinson left Bend in late July with his black lab, Charlie. The Harney County Sheriff’s Department found Robinson’s abandoned pickup truck Aug. 5 on U.S. Highway 20 near Riley, out of gas. 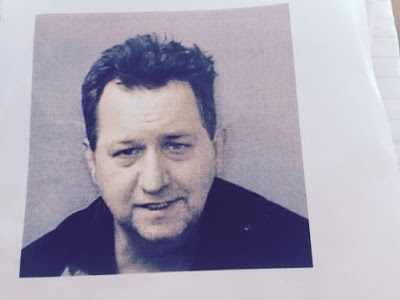 In a note left in the truck, Robinson wrote he was happy now and promised to contact loved ones in the future, said his mother, Becky Deem of Mariposa, California. Deem said she’s not sure whether Robinson was referring to contact from beyond the grave or from across the country. He has friends and relatives in other states he might have gone to see, she said. Heartless thieves in Florida last week stole a storage trailer that contained the belongings of a Marine who died fighting Iraq. The items were all Keith Dougherty had left to remember his hero son. Twenty-year-old Scott Dougherty was killed 11 years ago. “It feels like he died all over again,” Dougherty, 61, told FoxNews.com Sunday. Dougherty got a call Wednesday morning telling him the trailer he had parked behind Our Lady Queen of Martyrs Roman Catholic Church in Bradenton had been stolen. Dougherty, a maintenance supervisor at the church, kept his son’s belongings in the trailer, along with other items, like medical records, tax returns and Christmas decorations. “His boots, his uniforms, his battle fatigues…It means nothing to nobody but it means something to me and my daughter,” Dougherty told Fox 13. For 18 months, Brad Giesting of Anderson Township has been fighting a rare cancer with an experimental drug. But last week, the drug manufacturer stopped the clinical trial and withdrew the drug, giving Giesting and his family a hard lesson at the holidays about cancer medicine. 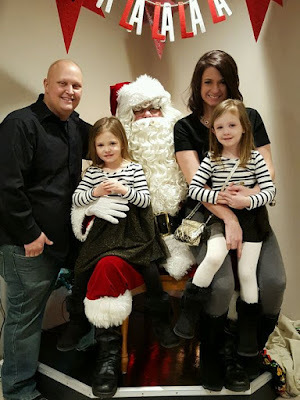 Annie Giesting, 29, said that three years ago, Brad, 30, a veteran of Operation Iraqi Freedom as a member of the 101st Airborne, was diagnosed with liposarcoma, an uncommon cancer that can kill quickly. The couple have two young daughters. Brad underwent surgery, radiation and chemotherapy. He got a brief reprieve, but the cancer returned. Brad then enrolled in a clinical trial at Ohio State University run by Morphotek Inc., an Exton, Pennsylvania, company. The drug, morab, showed promise in earlier testing in treating liposarcoma. Annie Giesting said that for a year and a half, her husband went to Columbus every week for treatment with the new drug and for related testing. UK: Double Amputee Funds Own "Legs to Wear"
"They are not looking after veterans. I'm stuck in a wheelchair with my life on hold and it's not fair. I want to be out and about but I can't because I've no legs to wear." War hero Clive Smith is spending £90,000 flying 10,000 miles to Sydney for a operation which he hopes will transform his life. 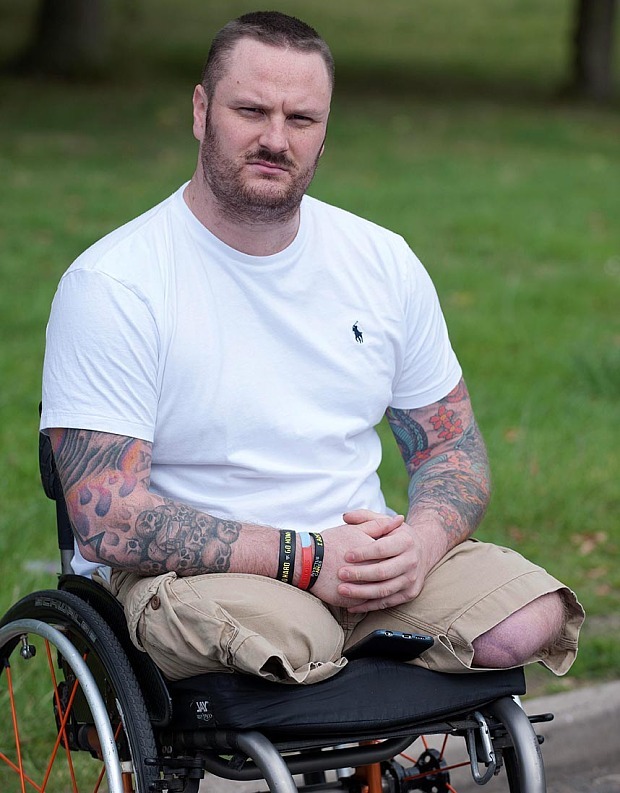 He said he has been left with no choice because the NHS and the Ministry of Defence have betrayed him, despite pledges that injured veterans would get the best possible care. Sapper Smith, who stepped on a landmine in Helmand Province in 2010, has been in a wheelchair for 12 months, waiting for new prosthetic limbs. EJ Montini of the Arizona Republic wrote "The Internet is fickle" and rightly so. Daniel Somers is gone but his last letter survived his suicide. His parents are left clinging to that letter with an everlasting hope they can spare other families from the same grief. Montini went on to explain what we've all been dealing with, the tendency to forget and move on to what peeks the interests of keyboard commandoes searching Facebook for selfies while the selfless suffer. 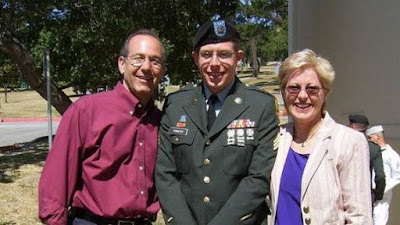 Since Daniel Somers committed suicide in 2013, the number "22 a day" may be filling your head however it is yet one more internet rumor that has been passed on while they pass away. No, not 22 a day, but closer to 73 a day if the figures from the CDC are correct and veteran suicides are double the civilian rate. Who has time to get it right when it has become acceptable to spread a rumor? Who has time to ask simple questions like "If everyone is doing something why isn't anything changing?" Or even take the time to find out what is working and then support it? Oh, it is just so much easier if you have a following to start your own profession off their suffering. 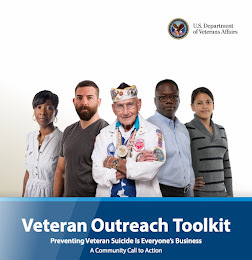 It is a safe bet that most of the hacks didn't even know the majority of the veterans committing suicide are not from the post 9-11 generation but are in fact over the age of 50. That is exactly the type of response that is creating more grieving families instead of healing veterans. The last time Howard and Jean Somers heard from their son, Daniel, was on June 10, 2013. He left a long letter for his wife, his parents, his friends… and us. 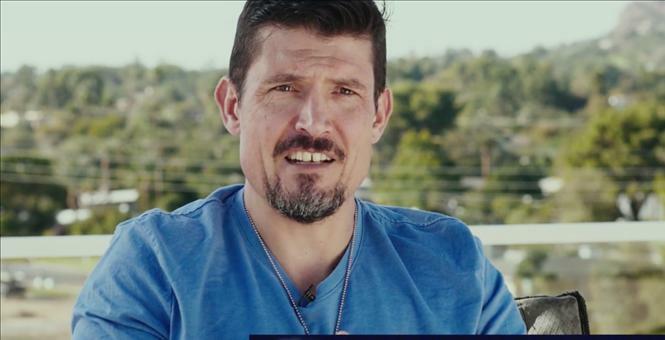 Daniel was an Iraq war veteran from Phoenix who suffered mentally and physically from his battle experience, and then struggled to get the treatment he needed from the Department of Veterans Affairs. On June 10, 2013, he took his life. The letter he left behind went viral on the Internet, with hundreds of thousands of views in a very short time. The number is in the millions by now. Those who read it were inspired, horrified, outraged. And then most of them quietly moved on. The tragic story of a veteran will pique our interest for a while, then Adele releases a new album or Grumpy Cat gets a movie deal or Kim Kardashian poses for a magazine cover with her derrière showing. We move on. We forget. Howard and Jean Somers did not move on. They did not forget. A public rest stop is Chuck Holton’s neighborhood on Christmas day, his SUV is his home and there's no celebration. There never is. The 51-year-old former Navy firefighter and Marine has lived this way for 20 years. Holton moves according to the season, and he’s been all over the country. Most of the time, he is rousted from his sleep as he bunks. He has a veterans disability pension that allows him to buy meager supplies. So far, Holton has found friends - including police officers and security guards - who allow him to shift around the Mississippi Interstate rest areas along I-10. Room of the White House on July 26, 2012. CEDAR FALLS, Ia. — A disabled Iowa veteran says he's considering options after his zoning request to build a new home was denied recently. Taylor Morris says he's not sure what he will do after the Cedar Falls Planning and Zoning Commission voted Tuesday against the veteran's plans to build a house on undeveloped land that is not served by city sewers or streets. Morris and his wife want to build on about 1.5 acres near land that is considered agricultural and requires special zoning permission, according to the Waterloo-Cedar Falls Courier. When Brooke Pasch was born 22 years ago, doctors told her family she wouldn’t live more than two weeks. There wasn’t hope. She suffered from VACTERL association. Her right arm was deformed — and so was every organ in her body. Her problems included heart and kidney disease, amid many others. Brooke was wired all wrong from the start. There’d never be a day without medicines. She carried them in her school backpack. And she led a hero’s life. Monday night marks a milestone at Amalie Arena. During the Tampa Bay Lightning’s game with Montreal, there will be a pause during the first period, about 10 minutes in, as there has been at every home game the past five seasons. The Lightning Foundation and Lightning Community Heroes program will make another $50,000 donation to honor another hidden star, more local treasure: Sister Claire LeBoeuf, 73, who has dedicated her life to founding organizations that aid foster children, including New Life Village, a community for families who want to adopt harder-to-adopt children in foster care. She’ll choose to send the money in that direction. Sister Claire will join the club Brooke Pasch has belonged to for three years. Sister Claire will be the 197th Hero in this remarkable program, one that brings 19,000 people to their feet as they watch each Hero pull on or hold up a Lightning jersey. Players on both teams will bang their sticks against the boards, a righteous hockey salute. 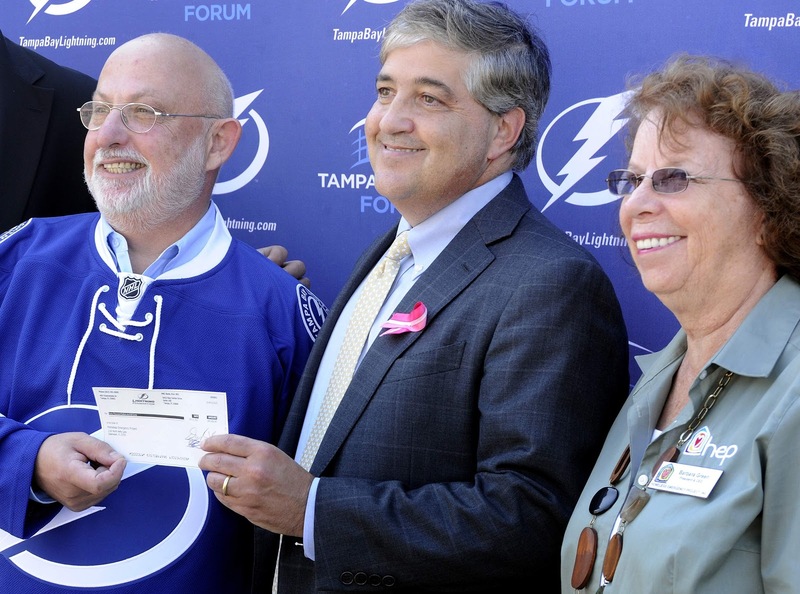 And somewhere in the building will be Lightning owner Jeff Vinik, who with his wife, Penny, pledged $10 million over five years to create the Heroes program. Monday’s donation will make $10 million. They’re Richard Cadogan, 68, a disabled veteran who became a voice for children who’ve been abused, abandoned or neglected. They’re Bruce Fyfe, who was reaching out to veterans even before he lost his son, Brendan, to the effects of post-traumatic stress disorder after three tours in Iraq. Fyfe oversees a 32-unit housing project for homeless veterans and their families. JOINT BASE MCGUIRE-DIX-LAKEHURST — The death of a Marine assigned to a unit at Joint Base McGuire-Dix-Lakehurst remained under investigation Monday by federal authorities, officials said. Sgt. Tristan Clinger was found dead Saturday on the base. His wife reported him missing on Dec. 20, said base spokesman Air Force Maj. Omar Villarreal. Clinger is originally from Jefferson County, Ky. outside Louisville. He was 28 years old. Villarreal said the Marine's death was under investigation by the Naval Criminal Investigative Service and they are being assisted by military authorities on the joint base. Clinger was a helicopter mechanic with Marine Heavy Helicopter Squadron 772, part of the Marine Aircraft Group 49 on base. The unit is in the Marine reserves, but Clinger was on active duty, base officials said. The week-long search for a missing local Marine ended in tragedy this weekend when his body was found during a search on Saturday, according to his family and a search team leader. Officials and relatives have not yet said where Sgt. Tristan Clinger was found or how he died. 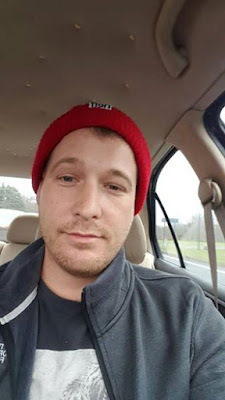 Clinger, 28, a father of two, went missing on Dec. 20 around 4 p.m. when he left Joint Base McGuire-Dix-Lakehurst on foot, according to his wife. 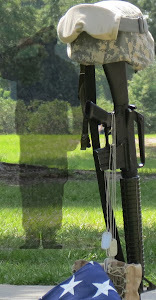 Marine Sgt. Tristan Clinger, 28, who has served in the military for five years, was last seen around 4 p.m. on Dec. 20 at the joint base, NBC10 reported. Any more questions, see "resilience" training feeding the stigma of getting help to heal along with the bad paper discharges. Levi Parker served in the Arizona National Guard for 15 years but his life ended after the lives of his two daughters. 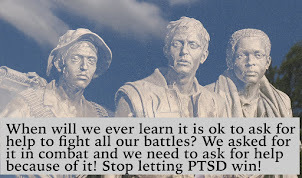 There are stories on military related PTSD from all over the country. Some are wide spread, like all the groups raising money so they can "raise awareness" but not much else. 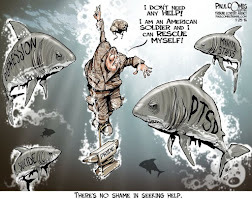 There are reports about the military doing their "resilience training" to make service members "mentally tough" just as there are reports about the multitude of suicides tied to PTSD. What you don't read often enough is the truth. These men and women survived putting their lives on the line for the sake of someone else yet sacrificed their futures because they had a harder time living after combat. 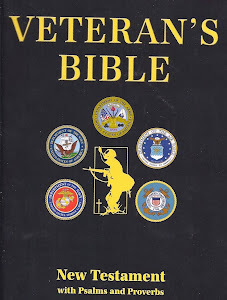 If you only know what little you've read before, then it will be easy to read this story and then assume PTSD veterans are dangerous murderers. The truth is, the outcome you'll read is a rarity. Let your heart break for the two young daughters and the family. Let your heart break for the community in shock as well as the first responders. Let your heart break for as long as you need to, then let that heartbreak turn into action. Demand accountability from Congress with jurisdiction over the DOD and the VA because they write the bills and fund them but never explain the deplorable results to anyone. 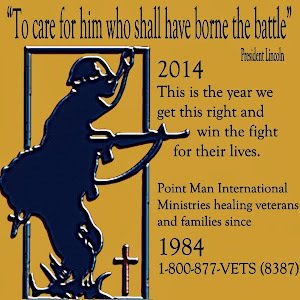 Demand accountability from all the charities out there raising money to "raise awareness" because so far they have yet to make veterans aware of how they can heal or even give them a reason to want to. 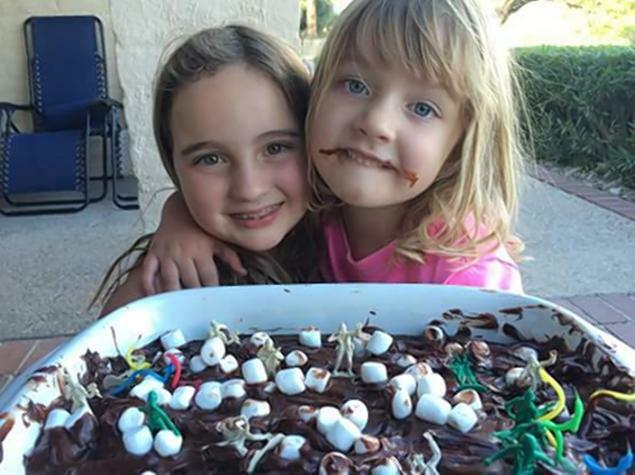 Parker killed his two daughter, 8-year-old MacKenzie (l) and 5-year-old Haylee (r). The Arizona dad and National Guard member who killed his two young daughters in cold blood has died, officials said. Levi Parker, 37, murdered the children, MacKenzie Lee Parker, 8, and Haylee Parker, 5, in the midst of a custody battle with his estranged wife, according to a report. Deputies were called to the Parker home at Veranda at Ventana Condominiums around 7 p.m. on Wednesday, after the girls’ mother received a threatening phone call. 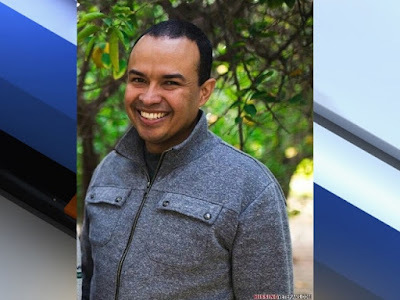 "He made statements to her that basically led her to believe this was her last chance to talk to the kids alive," Pima County Sheriff Chris Nanos said, according to KNXV-TV. When they arrived on scene five minutes later, deputies “attempted to talk to a male inside the residence from outside the front door,” the sheriff’s department said in a statement. LAREDO — John Perez thinks back on his experience in war as a time when life made sense. Deployed to Iraq in 2006 with the Marines, he served as an operations specialist, arranging the logistics for truck convoys delivering fuel and supplies to U.S. troops. He enjoyed the complexity of the work as much as the clarity of purpose. 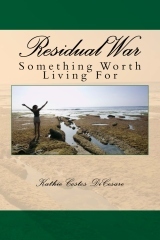 What bewildered him was returning to civilian life after his honorable discharge in 2008. He left the military hoping to save a marriage that unspooled over the next two years. In 2012, he lost his job at a retail store when his bosses refused to alter his work schedule so that he could attend community college. As Perez started taking classes, he ran through a series of low-wage jobs that paid too little for him to keep his apartment. By this summer, he had slipped into homelessness, couch-surfing from one friend’s house to another. He recovered a measure of stability in August after learning about a veterans transitional center housed inside the Rio Grande Plaza Hotel on the fringe of Laredo’s downtown. Since opening in February, the program has provided shelter for more than 100 homeless veterans, creating a refuge from uncertainty. A Lubbock oilman whose late father served in World War II, Collier, who knew of Lopez’s advocacy work, offered to provide rent-free rooms to homeless veterans. 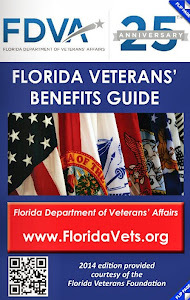 Lopez agreed to coordinate the transitional program, connecting them to support services through the VA and nonprofit groups that could steer them toward independence. The two men anticipated that the center would attract perhaps 10 to 15 veterans. By spring, more than 40 had moved into the 15-story hotel, some with spouses and young children. PHOENIX - Guido Feruglio was proud to serve his country. Now a Phoenix family is searching for the father, husband, and veteran who has been missing for almost two weeks. "He did two tours in Afghanistan," Veronica Feruglio, his wife, said. But it was when he returned home from his second tour that his wife noticed a change. "He didn't come back the same," she said. Veronica says her husband suffered from PTSD. "He never wanted to say something, he was always fine," she said. "Any nightmares he saw or lived, he kept to himself." It was on December 14th that the woman's husband, 34, said something strange right before he left the family's house. "I'm sorry, I hurt you and I'm sorry I did this to you," she said he told her. He left his family behind, including his 3-year-old son. His state and military identification cards were also left behind. He drove off in his black Dodge Charger, never to be seen again. 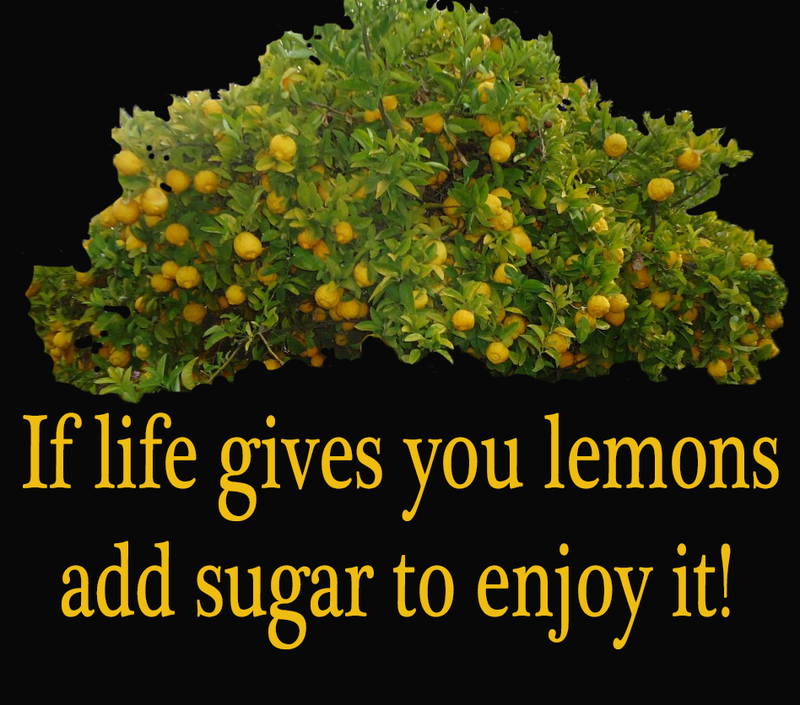 Every recipe for lemonade tells you to mix in some sugar. Otherwise, you end up with some bitter tasting stuff. It is the same way in life, especially when you're living with PTSD. 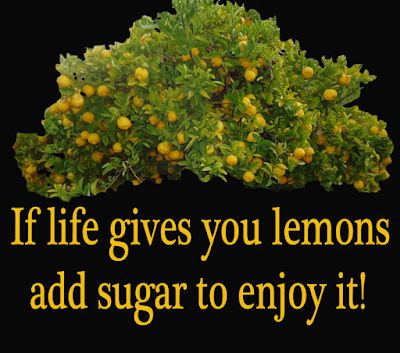 If you are thinking of leaving your veteran, it could be because you forgot about the sugar. The sweet within him/her that you fell in love with. It is all still in there. As a matter of fact, it is the biggest reason they suffer such sadness. 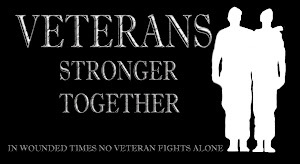 Loving a veteran with PTSD can be just as bitter at times. If you are post 9-11 generation, I am old enough to be your Mom. I am not so old that I cannot remember over 30 years ago when I was young as well, feeling lost and shattered. I remember feeling as if I couldn't talk to anyone about what was going on. Sometimes I was embarrassed. Sometimes I was feeling unlovable. Most of the time I was feeling lonely because no one knew what I was going through. Back then we didn't have the internet or any type of social media. Hell, even reporters were not covering what our generation was dealing with, not that they paid attention to what our own parents went through either, but somehow we managed to find other veteran spouses. 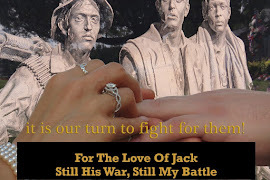 We followed our husbands to veterans gatherings because we knew in that community we were not alone. It helped to know that other wives were feeling the same things civilian spouses would have found impossible to deal with. We learned what worked for them and changed our own lives by their example. After over 30 years, I can honestly say I never stopped loving my husband, even though there were times when I thought I had, the truth is, it never ended. Oh, sure there were times, and still are many, when I don't like him very much, but I'm sure there are times when he doesn't like me either. 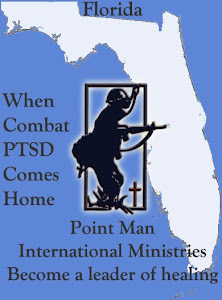 The difference is I learned what PTSD was, what it did to him and why it did it. Elijah Tsawo, at Duke University Hospital, with liver donor Sarah Ames. Ames was a stranger who donated part of her liver to save Elijah's life. She and Elijah's family have become close since the surgery earlier this year. DURHAM Sarah Ames lives by the philosophy that if you have the ability to help someone, you have the responsibility to try. So this spring, when she was moved by a story about a mother’s plea for a liver donor for an infant son, Ames had no qualms about quickly taking a survey to see if she might be a match. She received a callback the next day. Two days later she was at Duke University Medical Center for more testing. And two weeks later she was on an operating table at Duke Children’s Hospital, undergoing her first major surgery so she could give 25 percent of her liver to a stranger. It was a gift of life for Elijah Tsawo, a 17-month-old boy who brought together two mothers who say the child’s misfortune led to their good fortune of meeting each other for a friendship they hope will last a lifetime. “I tell her, she tells me, there are no words any more for what this means,” a grateful Gwendolyn Tsawo said earlier this month at a monthly checkup for Elijah. 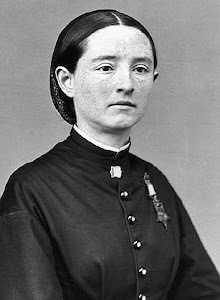 Sarah Ames had worked as an acute care speech pathologist. She was familiar with the risks and rewards that modern medicine offers. She also describes herself as a Christian, driven by a strong faith. Her husband Jordan, a Marine, has similar beliefs and values. The two have adopted six children – three boys and three girls who range in age from 15 to 6 – after finding out Sarah could not give birth to children. The crew at OFFduty and Best for Vets have gotten to know a lot of veterans in 2015, and one characteristic we've found so common among Post-9/11 veterans is the drive to help out fellow vets, especially those dealing with what staff writer Jon R. Anderson describes as "the fog after war." Goodwill took wing from an Englewood, Colorado, airfield earlier this month for a donation drop that’s become a tradition in the state’s aviation community. Student Veterans of America's acting president and CEO Jared Lyon visits the Military Times newsroom to discuss the association's worldwide mission and "NatCon" annual meeting coming up in January, plus two chapters talk about their local clubs. 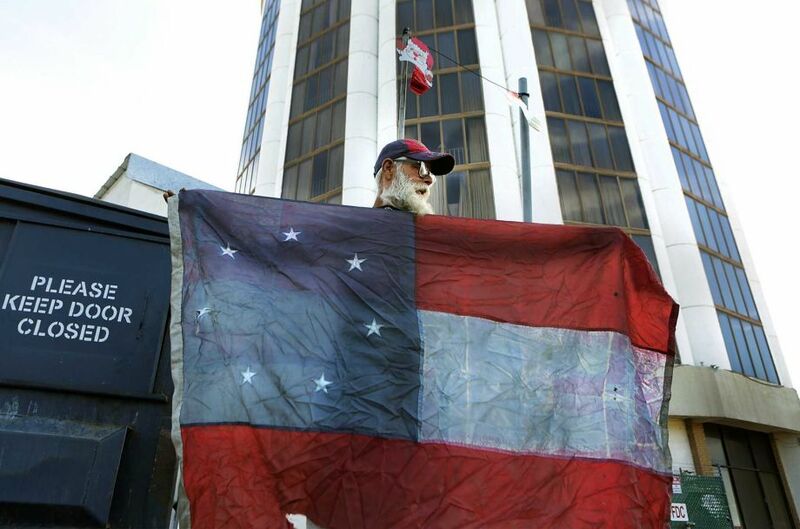 TITUSVILLE, Fla. —Local homeless veterans are receiving help this Christmas. They're not only receiving meals, but also a stay in a hotel. The National Veterans Homeless Support group is taking action this holiday season to help veterans and their families have a merry Christmas. Vietnam veteran William Cruz is fighting a different battle these days. "I didn't have nothing, not even to go to McDonald's," Cruz said. The former Marine said his wife's medical bills wiped them out, leaving them homeless. That is, until the National Veterans Homeless Support group rescued him. The Brevard County charity is putting more than 40 vets and their families up in a hotel for Christmas, giving them warm meals and supplies.